Spike Jonze won an Oscar for his screenplay to the contemporary masterpiece. 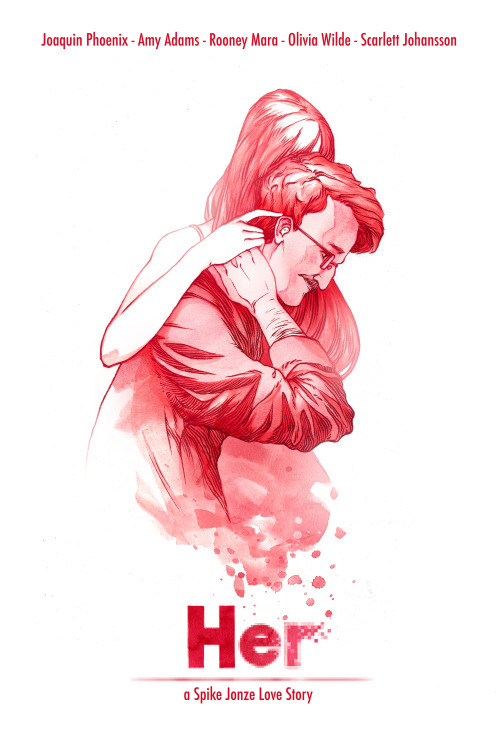 In Her whose, review of ours you can catch HERE Theodore Twombly (Joaquin Phoenix) is a writer of custom greeting cards living in Los Angeles in the near future. Theodore is recently divorced and living all by himself and is lonely until he meets Samantha. She’s smart and quite funny… she’s also an operating system. When he uploads the OS into his PC the flirtation begins and this sets off a series of events that lead to Theodore falling for Samantha and giving her his every emotion. As you can assume the problem with giving someone or in this case something is that if the feelings are not reciprocated it can crush you, exacerbating the loneliness. It asks a lot of its lead character and the audience in the way of existential questions. Now that we know what the movie is I think we need to discuss what makes it a romantic comedy. Here’s the thing I think at its core it’s an existential adventure in the vein of David O. Russell’s I <3 Huckabees. A while ago we broke down the genre of the romantic comedy please feel free to read that HERE when you get a chance. In it, and I’ll paraphrase I mention the evolution of the genre from its beginnings in the screwball genre to more contemporary sense. I think here is where we lie in the contemporary stewing in the juices of a genre as old as the medium itself. In Her, the seeds of the changing winds are here. Theodore is a depressed and lonely man. In one of the funniest scenes in the film we see Theodore attempting to unwind by playing video games. Keep in mind that his friend Amy (played wonderfully by the always great Amy Adams) is a creator herself. Here we can see him playing trying to get this spaceman out of a cave. That’s pretty funny. We can all agree that along with some other amazing funny moments scattered throughout there’s a real sense of tangible comedy. I don’t think romantic comedies have to be laugh a minute. They do have to feature enough moments that bring a bit a brevity to the film’s situation. They don’t have to have a happy ending I think that’s perhaps the biggest myth. That some grandiose gesture of love HAS to be the ending. There’s an ambiguity to the ending of this film. Much in the way, other films in that genre have ended. Look at the iconic, and sometimes misunderstood ending of Mike Nichols’ The Graduate. In a bit more pseudo-romantic comedy Lost in Translation also feature an ending that isn’t quite what it seems. This proves that sometimes an ending that isn’t an ending is great. Understanding that comedic elements are flexible in a narrative can bring this into the spotlight. Let’s look at the romantic elements of Her at first we have Theodore’s initial letter a beautiful soliloquy written for someone else. SAMANTHA So you think I’m weird? THEODORE Cause you seem like a person, but you’re just a voice in a computer. SAMANTHA I can understand how the limited perspective of an un-artificial mind would perceive it that way. You’ll get used to it. It’s there we see something in Theodore we hadn’t seen since the flashbacks, a smile. That conversation continues for another 5 to 10 minutes as Samantha helps organize his emails and his digital life in general. All the while subtle friendly flirts throw their way into the conversation. It evolves a bit later into Theodore’s hopeless nature as a romantic when he discusses writing letters for a couple for 8 years. It is in these conversations we see Theodore as the vulnerable man he is, but also the romantic and the comedic person he was before. Nowhere is this more prevalent than in the Oscar-nominated “Moon Song” originally sung by Yeah Yeah Yeahs frontwoman Karen O and Vampire Weekends Ezra Koenig. Here Phoenix and Johansson project a mutual, I suppose attraction would be the word, check it out! THEODORE How can you tell something’s wrong? SAMANTHA I don’t know. I just can. THEODORE I don’t know. I have a lot of dreams about my ex-wife, Catherine, where we’re friends like we used to be. We’re not together and we’re not gonna be together, but we’re good friends still. She’s not angry. THEODORE I think I hid myself from her and left her alone in the relationship. Moving on to the next example its Theodore and his blind date simply known as Blind Date and played by Olivia Wilde. Everything starts off well enough they have a lovely evening and drink probably way too much. As they’re leaving everything sort of turns and as they’re kissing she turns to him calls him a creepy, weird guy and we can feel Theodore’s a bit confused as to where that’s coming from. His difficulties continue. 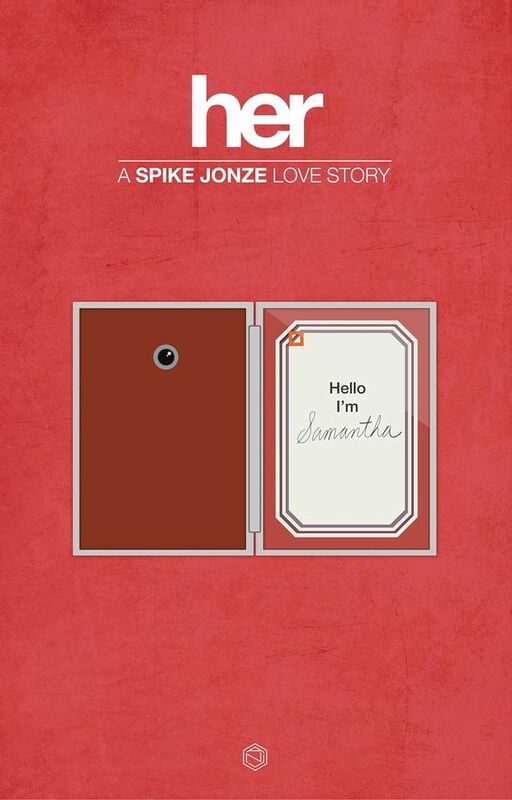 He again confides in Samantha about how his loneliness drove the behavior he had on his Blind Date. SAMANTHA I’m trying to write a piece of music that’s about what it feels like to be on the beach with you right now. SAMANTHA Tonight after you were gone, I thought a lot. I thought about you and how you’ve been treating me. And I thought, why do I love you? And then I felt everything in me let go of everything I was holding onto so tightly. And it hit me. I don’t have an intellectual reason, I don’t need one. I trust myself, I trust my feelings. I’m not going to try to be anything other than who I am anymore and I hope you can accept that. THEODORE I can. I will. SAMANTHA You know I can feel the fear that you carry around. I wish there was something I could do to help you let go of it because if you could I don’t think you’d feel so alone anymore. SAMANTHA Thank you, Theodore. I’m kissing your head. I’d like to thank each and every one of you that read through this essay and I hope you can see that Her is not only one of this decade’s absolute masterworks but it is the pinnacle of the modern romantic comedy not because it gives into genre tropes but because it subverts them and along the way changes the very definition of them. Much in the way that Eternal Sunshine punched romance in the guts and showed it to them this film follows suit. Spike Jonze crafts a romantic comedy that takes the time to build its scenery both physical and emotional and then takes a phrase out of the classic romantic comedy It Happened One Night and it tears down the Walls of Jericho. Once again thanks to every who read this. Please remember to share this across the internet I think this movie is a masterpiece and everyone can appreciate it as a drama, a romance or in my argument a romantic comedy.